Katherine Liberovskaya (CA) is a video/media artist based in Montreal and New York. Involved in experimental video since the 80s, she has produced numerous videos, video installations and performances shown at various events and venues around the world. Since 2001 her work predominantly focuses on collaborations with composers and sound artists notably in live video+sound performance where her live visuals seek to create improvisatory “music” for the eyes. Frequent collaborators include Phill Niblock, Al Margolis/If,Bwana, Zanana, Kristin Norderval, Hitoshi Kojo, David Watson, David First and o.blaat (Keiko Uenishi). Recent projects have involved: Leslie Ross, Shelley Hirsch, Chantal Dumas, Richard Garet, Dorit Chrysler, Emilie Mouchous, Erin Sexton, Corinne Rene and Philippe Lauzier. Concurrently she curates and organizes the Screen Compositions evenings at Experimental Intermedia, NYC, since 2005 and the OptoSonic Tea series at Diapason, NYC, since 2006. In 2014 she completed a PhD in the Study and Practice of Art entitled “Improvisatory Live Visuals: Playing Images Like a Musical Instrument” at the Universite du Quebec in Montreal (UQAM). Phill Niblock (USA) is an intermedia artist using music, film, photography, video and computers. He was born in Indiana in 1933. Since the mid-60′s he has been making music and intermedia performances which have been shown at numerous venues around the world. Since 1985, he has been the director of the Experimental Intermedia Foundation in New York where he has been an artist/member since 1968. He is the producer of Music and Intermedia presentations at EI since 1973 and the curator of EI’s XI Records label. 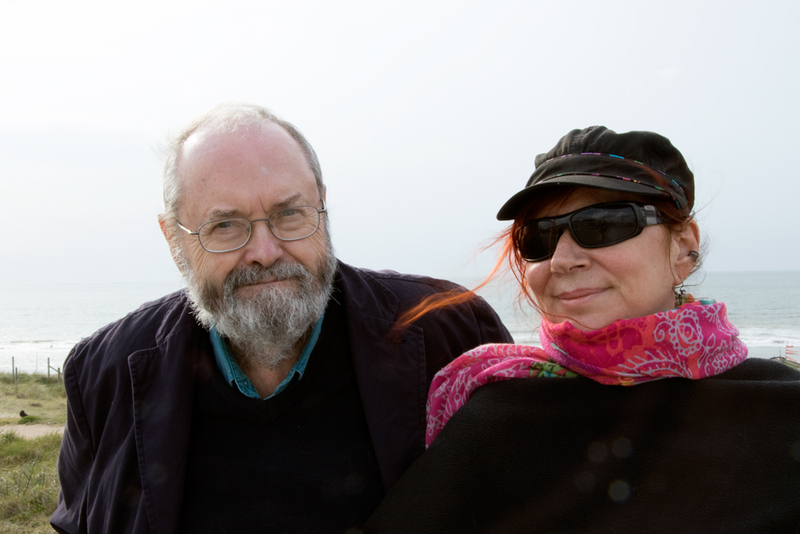 Phill Niblock’s music is available on the XI, Moikai, Mode and Touch labels. A DVD of films and music is available on the Extreme label. He is a retired professor at The College of Staten Island, the City University of NewYork. In 2014, he is the recipient of the John Cage Award from the Foundation for Contemporary Arts. During their residency Liberovskaya and Niblock gave a masterclass on the 12th of June and showed new work on the 20th of June, both in Studio Loos.